Scott Andrew Caan (born August 23, 1976) is an American actor. He stars as Detective Danny "Danno" Williams in the CBS television series Hawaii Five-0 (2010–present), for which he was nominated for a Golden Globe Award. Caan had a recurring role as manager Scott Lavin in the HBO television series Entourage (2009–2011). In the 1990s, he was a part of hip hop group The Whooliganz with The Alchemist. The duo went by the names Mad Skillz and Mudfoot, respectively. Caan was born in Los Angeles, California, the son of actor James Caan and Sheila Marie Ryan, an actress and former model. His paternal grandparents were Jewish immigrants from Germany. He has an older half-sister named Tara Caan and three younger half-brothers named Alexander James Caan (born 1991), Jacob Nicholas Caan (born 1995), and James Arthur Caan (born 1998). Caan was a roadie for the hip hop groups Cypress Hill and House of Pain. Caan was also a member of the hip-hop group The Whooliganz as Mad Skillz (with producer and fellow MC The Alchemist as Mudfoot). The Alchemist and he, when performing as the rap duo the Whooliganz in the early 1990s, signed a record deal with Tommy Boy/Warner Bros. records. They recorded the album Make Way for the W, but after their first single "Put Your Handz Up", the album was shelved and the duo was dropped by Tommy Boy. In 1995, the Whooliganz' song "Whooliganz" was released as a single in the UK, but Caan and the Alchemist had already parted ways. Caan reunited with his former partner The Alchemist in 2014 on the Step Brothers project Lord Steppington, performing on the song "Byron G" with musician Evidence. After enrolling at the Playhouse West acting school in Los Angeles, Caan began acting in the late 1990s, appearing in a number of independent films and low-budget films. His first role in a major motion picture was that of Charlie Tweeder, a reckless Texas football player in Varsity Blues (1999). In the same year, he played the role of Drew in the film Saturn (also known as Speed of Life). Caan subsequently appeared in several studio films, including Ready to Rumble (2000) co-starring David Arquette, Boiler Room (2000) co-starring Vin Diesel, Gone in 60 Seconds (2000) as Tumbler and American Outlaws (2001), co-starring Colin Farrell, in which Caan played 19th-century outlaw Cole Younger. In 2003, Caan made his directorial debut with the film Dallas 362, which subsequently won a prize at the 2003 Las Vegas Film Festival. Caan appeared in the feature film trilogy Ocean's Eleven, Ocean's Twelve, and Ocean's Thirteen. In 2005, he co-starred with Paul Walker (with whom he appeared in Varsity Blues) in the action film Into the Blue. Caan wrote and directed the 2006 comedy The Dog Problem, and appeared as a supporting character in the film as well. He appeared on the television series Entourage in a recurring role as talent manager Scott Lavin from seasons six to eight. 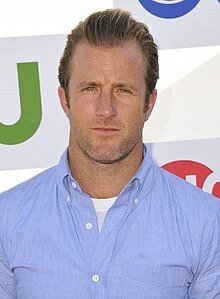 Caan plays Detective Danny "Danno" Williams in Hawaii Five-0 (a re-imagining of the 1968 Hawaii Five-O television series). The new series premiered on September 20, 2010, and in 2011 he was nominated for a Golden Globe Award for Best Supporting Actor – Series, Miniseries or Television Film for his performance. BuddyTV ranked him 95th on its list of "TV's Sexiest Men of 2011". In addition to acting, Caan has also pursued a career in photography. Inspired and trained by cinematographer Phil Parmet while working together on the 2003 film Dallas 362, Caan has been shooting ever since. "In preparing for the film," Caan said, "Phil inspired me to learn about lenses, lights, frames, and the operation of a 250 millimeter camera. By the time the film was over, I wanted to shoot the next one." In 2009, he published his first collection of photographs in a 256-page book entitled Scott Caan Photographs, Vol. 1. The book was edited and designed by Howard Nourmand, and includes an introduction by Steve Olson. Caan has been an Active Volunteer with Surfers Healing, an organization which introduces children with autism to the joy of surfing, as well as similar groups such as A Walk On Water, TheraSURF, and Life Rolls On. Caan is a black belt in Brazilian jiu-jitsu. In 2014, it was announced that Caan and his girlfriend, Kacy Byxbee, were expecting their first child, and in July of that year, their daughter Josie James was born. 2007 Stories USA Hayden Field Segment "Life Makes Sense If You're Famous"
2012 NCIS: Los Angeles Episode: "Touch of Death"
2017 Vice Principals Sweat Dogs Trainer Episode: "Think Change"
^ "Scott Caan". AllMovie. Retrieved April 1, 2019. ^ "Chicago - Chicago : News : Politics : Things To Do : Sports". Chicago. Retrieved 2 August 2015. ^ Model, Betsy. "The Ultimate Caan". Cigar Aficionado. Archived from the original on 2006-12-06. Retrieved 2006-12-13. ^ "Entourage Admits Caan, Fichtner, Letscher". TVGuide.com. Retrieved 2009-06-08. ^ "Golden Globes 2011: Analyzing the TV nominations". HitFix. Retrieved 2 August 2015. ^ "TV's 100 Sexiest Men of 2011". BuddyTV. Retrieved January 13, 2012. ^ Caan, Scott. "Scott Caan Photography". Archived from the original on May 7, 2011. Retrieved 16 May 2011. ^ Caan, Scott. "Scott Caan Photographs 2003-2009 - Biography". Retrieved 16 May 2011. ^ "Amazon". Retrieved 16 May 2011. ^ "Ability Magazine: Scott Caan - Surf Therapy for Autism" (2009)". Retrieved 2012-04-03. ^ "EGO - Scott Caan, astro da série 'Havaí Cinco-0', se rende ao jiu-jítsu brasileiro - notícias de Famosos". Ego. 18 February 2014. Retrieved 2 August 2015. ^ "Scott Caan's Girlfriend Pregnant: Actor, Kacy Byxbee Expecting Child - Us Weekly". usmagazine.com. 11 June 2014. Retrieved 2 August 2015. ^ McNary, Dave (March 31, 2014). "Scott Caan Replaces Shia LaBeouf in 'Rock the Kasbah'". Variety.com. Retrieved April 1, 2014. This page was last edited on 1 April 2019, at 09:58 (UTC).